NUESTRA RECEPCION ESTA ABIERTA LAS 24HOO PARA LAS ENTRADAS Y SALIDAS . SI REALIZA EL CHECK OUT POSTERIOR A LAS 11H30, se pagará el 50% del valor de la TARIFA(de 12h00 a 16h00) ,pasada esta hora deberá pagar el 100%. EL HORARIO DE DESAYUNO es desde las 7H30 hasta las11H00. EL SERVICIO DE BODEGA DE EQUIPAJES ES GRATUITO. EL CONSUMO O TENENCIA DE DROGAS ILEGALES ESTA PROHIBIDO EN TODO EL ESTABLECIMIENTO. 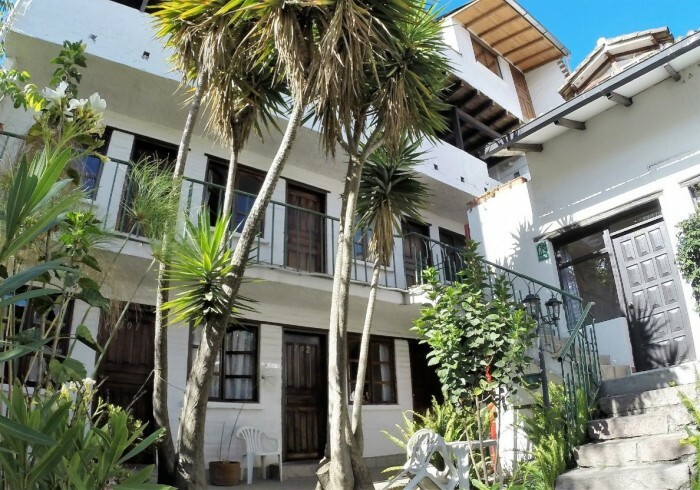 Swiss owned since 1995, L’Auberge INN is a backpackers hostel located between the two main centers of interest in the ecuadorian capital, the modern town with the Mariscal area and the colonial Quito. Built in a way to offer you a convivial, safe and clean place, we also provide any facilities you may need to make your stay as enjoyable as possible .